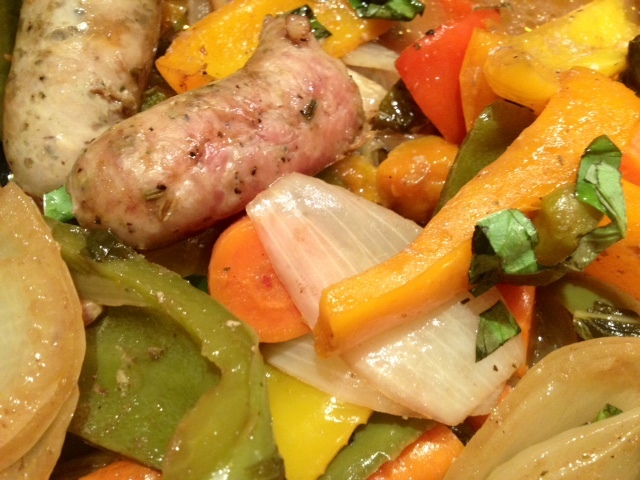 Roasted Balsamic Chicken Sausage With Onions, Peppers, Carrots & Basil. I recently hosted a dinner party with some friends and I wanted to make something easy – something that I could just pop in the oven and forget about so I could chitchat with my guests. 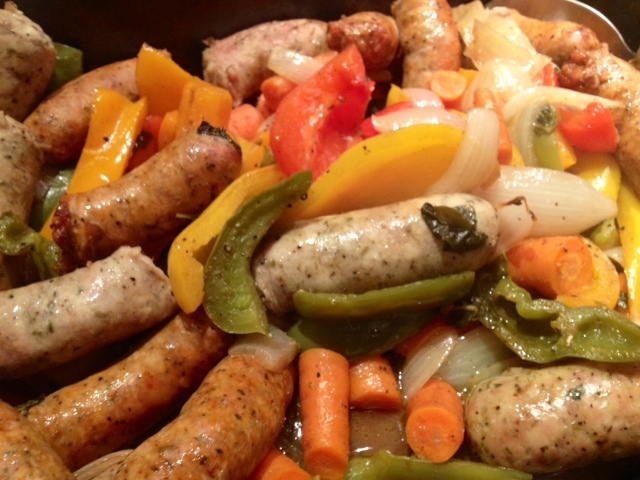 I had seen a roasted sausage and potato recipe here, so I made a version of it and adapted the recipe to make this low-fat, low-carb, tangy sausage and vegetable dish. 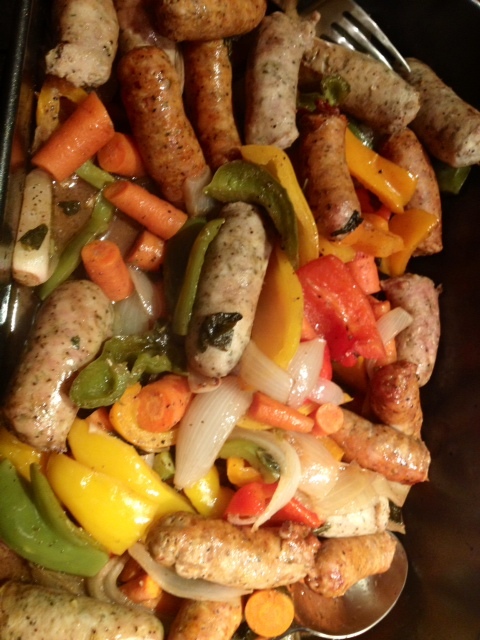 I used chicken sausage to cut down on the fat and increased the veggies instead of using potatoes. 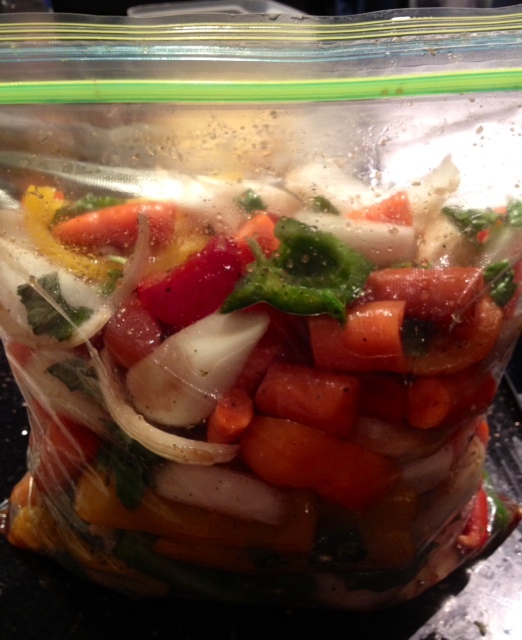 Marinating the vegetables really helps to enhance all of the flavors in this recipe. This dish is warm, hearty and filling. With the Italian theme of the dinner party, this dish was absolutely perfect! In a large mixing bowl, add the onions, peppers, carrots and chopped basil. 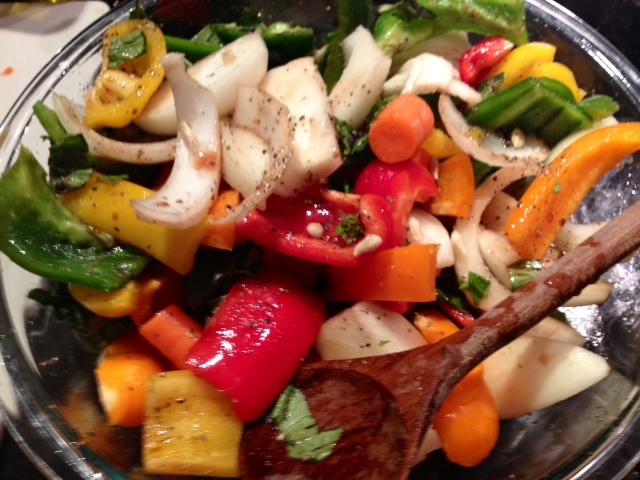 Toss the veggies with 1/4 cup balsamic vinegar and 1/4 cup olive oil. Add in the juice from one lemon and a generous dash of garlic salt and black pepper. Put all of the veggies into a large freezer bag along with any liquid in the bowl and marinate them in the refrigerator for about 4 hours. 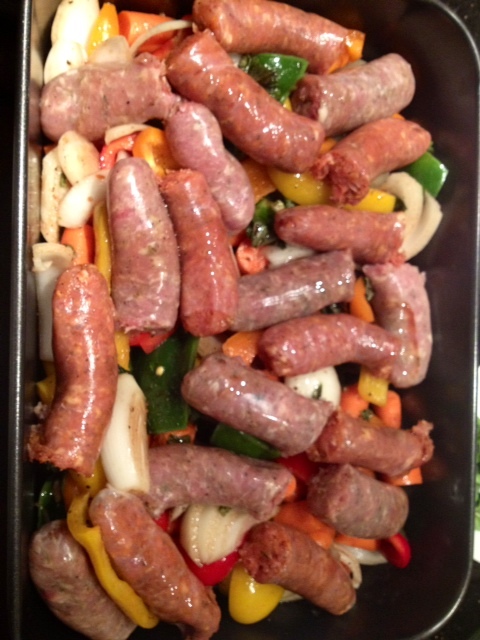 After marinated, put the vegetables into a large roasting pan and arrange the sausages on top. Pour 1/4 cup balsamic vinegar over the sausage and vegetables and season again with a dash of garlic salt and black pepper. Cook in the oven on 400 degree for 45 minutes. Halfway through cooking, take out the roasting pan to stir the vegetables and flip the sausages so the other side can brown.